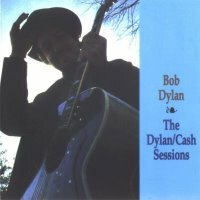 Back in college, Nashville Skyline was the first Dylan album I ever really connected with. From there on out, there was no turning back. The claws were in, and in good. That being said, I was pretty excited when a friend passed these sessions/live/rare recordings on to me a few years ago. Two iconic masters of their craft conversing with one another via song. Recorded throughout 1969 on three separate occasions, these recordings mark an important historical collaboration between two American poets/musicians.